Corporations are showing poor professionalism in “ALL” parts of the Media Entertainment Business. White Machine Corporations have built their careers off of “Black Entertainment” Well lets face it everyone has.. what was reggaeton again? oops off topic… The Moment that a black or non white person Out Smarts Multiple Corporations Financially, Professionally, and Creatively, The Corporations form a movement to execute them out. Impecunious than to be wealthy off of their OWN inventions, rather than in need of a help from ANY powerful party. Ever Wonder “WHY” now you can’t get a record deal???? Or, WHY you haven’t got a call back from that AUDITION??? Well……Because “SERVICES ARE NO LONGER NEEDED”…… “WHITE IS THE NEW BLACK”!!!!! How about this one……..During the last 10 months, almost ALL Movies, TV Shows, TV Series have been an ALL WHITE CAST. As long as their is this RECKLESS BEHAVIOR of being INSENSITIVE to other Non White Cultures…..THIS WILL CONTINUE!!!! In Fact, we just caught wind that the Cleopatra Movie and Nefertiti Movie will both be played by white actresses……WHY…because “WHITE IS THE NEW BLACK”!!!! Just imagine black, or even Chinese people acting like Italians…… or even Jews acting like puertorician’s or Mexican’s. WEIRD SITE RIGHT!!! Well….. case and point, it almost looks like a SKIT from 90’s show “IN LIVING COLOR”. Take AMERICA’S BEST DANCE CREW, Which if you noticed the BLACK CREW NEVER EVER WINS!!!! JUST REWIND THE TAPE. 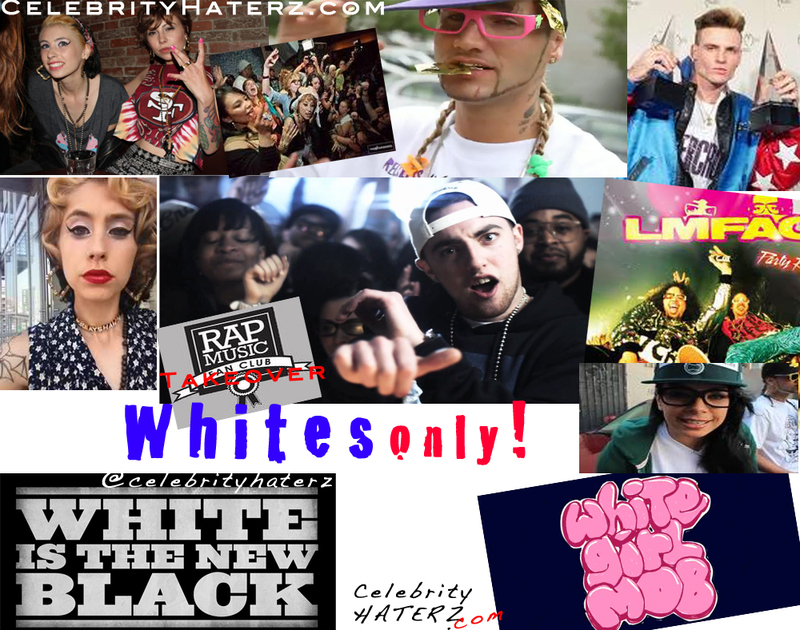 “BLACK IS THE NEW WHITE” from every image, to the JERSEY SHORE, spray tans to Commercials using the WHITE RAPPER leaving the BLACK RAPPER as just a Template to “COPY & PASTE”……. CHA CHING…”WHITE IS THE NEW BLACK”.!!!!! #WESTPOPPN.COM… Mistah Fab “DEDENDS” White Rapper Vnasty & KreayShawn on Using the “N”word????? REALLY?? ?